Prepare to freak out, because there’s proof Harry Styles and Kendall Jenner are hanging out yet again. Fans spotted the former couple sitting together at a Fleetwood Mac concert in Los Angeles on Dec. 13., and naturally, Twitter has gone into a frenzy. So does this mean the two stars are back together? “Kendall was sitting behind [Harry] and they said bye to each other,” one fan tweeted alongside a video of the pair watching the show. The spotting comes just days after Kendall shared an intimate love letter she received which fans thought might have come from the 24-year-old. Especially after they compared the “Sign Of The Times” singer’s handwriting to the sender’s, and noticed a lot of similarities. “We may be miles apart but my love for you grows stronger and stronger by the minute,” the letter read. “My imminent feeling is of pure love for you. I will love you until death separates us. Right now this separation is killing me, but in my heart I know that nothing would come close to separating us. We are united into one forever, body and soul, and I want you to know that I love you from the deepest part of my heart.” Woah, talk about intense! But it turned out that two photographers whom the model had worked closely with for years actually sent her the note. 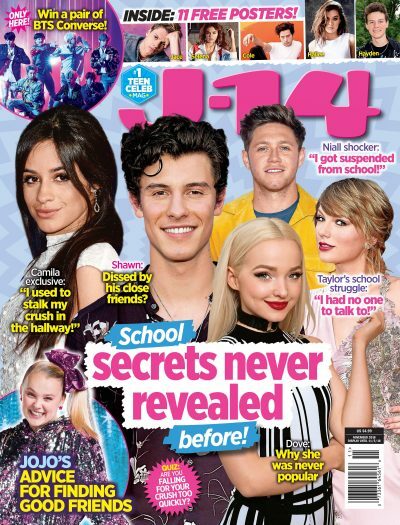 As J-14 readers know, Harry and the 23-year-old beauty have a long history together. They dated briefly in 2014, then sparked rumors again in Dec. 2015, when they were seen on a yacht together looking super cuddly. Then, in 2016, they were caught hanging out yet again, when they were spotted by fans on a shopping date together. And most recently, Radar Online reported that the couple had a secret reunion in Idaho a few months ago. It’s honestly unclear what their status is, but they’re most likely just good friends. Whether they’re good friends or dating again, it’s clear that they’re very important to each other. OMG Are Harry Styles and Kendall Jenner Dating Again? #AWKS Kendall Jenner Reveals She Thinks Harry Styles Smells!